Well, Nokia had a lot to show before its livestream took a dump. Some new ASHA devices, not 1 but 2 phablets, and Nokia's new tablet! I could go on and on, but some of us have to go to work in the morning, so you can read Nokia's PR after the break, which includes specs, links and more! - Designed to work anywhere, Nokia's first Windows tablet, the Lumia 2520, offers combined LTE and Wi-Fi connectivity and is designed to deliver the best outdoor and indoor readability. 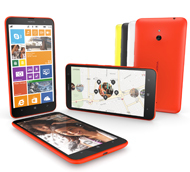 - The award-winning Lumia design comes to 6-inch screens with the Lumia 1520 and Lumia 1320. The larger format offers a new column of live tiles for easier and faster access to apps and experiences. - The Asha 500, Asha 502 and Asha 503 introduce a new crystal-clear design, smarter camera and a faster and more intuitive user interface. - New accessories from Nokia complement mobile lifestyles, from power keyboards to wireless charging. 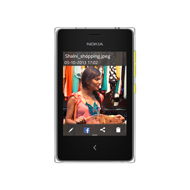 - Nokia app innovation continues with Nokia Storyteller, Beamer and Video Director. - New third-party applications including Instagram, WhatsApp, Papyrus, Vine among others. Espoo, Finland and Abu Dhabi, UAE - Today at Nokia World: Abu Dhabi, Nokia unveiled six new devices alongside new accessories, Nokia experiences and third-party developer applications. Nokia introduced its first ever Windows tablet, the Nokia Lumia 2520, and launched a portfolio of large screen Lumia smartphones: the Lumia 1520 and 1320. Three new Asha models - including the first 3G device in the Asha Platform family of smartphones - deliver industry leading design, new vibrant colors and a more intuitive user interface, all at an accessible price. Building on Nokia's industry-leading innovation in imaging, the latest range of Lumia and Asha products enables people to capture and share the world around them like never before. Nokia also showed new accessories to make life easier and more fun, and announced an array of new Nokia and third-party applications which enhance the Asha and Lumia experience. "Now more than ever, mobile devices are at the center of consumers' lives as they look to capture, curate and share experiences on the go," said Stephen Elop, Executive Vice President, Devices & Services at Nokia. "Today we're inviting people around the world to switch to Nokia. With our latest range of Lumia and Asha products, we're delivering industry leading design and imaging innovation to bigger devices at more accessible prices. The quality and value that Nokia products deliver continues to grow as we partner with developers to introduce app experiences that are unique to Lumia and Windows Phone. And clearly, with Lumia and Asha smartphones enjoying quarter-on-quarter volume growth in Q3 2013, that quality and value is resonating with consumers around the world." Nokia's first Windows tablet, the Lumia 2520, is designed to work anywhere, with a vivid 10.1-inch HD display that is designed to provide the best outdoor and indoor readability of any tablet. Building on Nokia's rich mobility heritage, the Lumia 2520 combines both 4G LTE and Wi-Fi connectivity, a 6.7MP camera, and for the first time ever on a tablet, ZEISS optics, letting people take beautiful pictures - even in low light. The Lumia 2520 runs on Windows RT 8.1 for a highly personal and easy to navigate experience, and also features multiple color choices and fast-charging capability - providing up to an 80% charge in one hour. The Lumia 2520 also comes with a number of unique software experiences that are exclusive to the Lumia family, including the exclusive "Dragons Adventure" interactive game developed in partnership with DreamWorks Animation. Additionally, the Lumia 2520 includes Nokia Storyteller, a Nokia developed application that introduces a new way to curate and relive images and videos as a story on a map, as well as Nokia Video Director, which offers the ability to edit and get even more creative with videos shot on the Lumia 2520 - as well as content from Lumia smartphones. With integrated HERE Maps, the Lumia 2520 is the only tablet with true offline maps for a fast and reliable maps experience. The tablet also includes an exclusive version of Nokia Music with Mix Radio preinstalled. 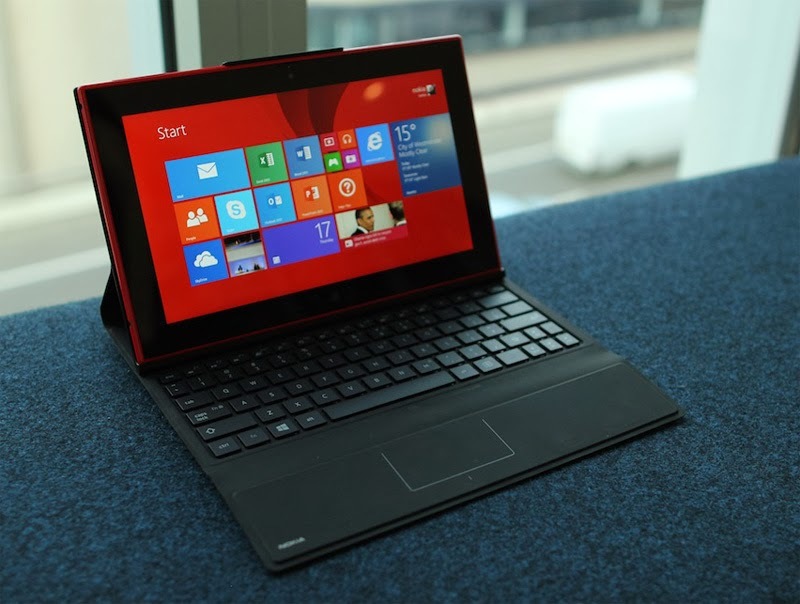 Read more about the Nokia Lumia 2520 on Nokia Conversations. 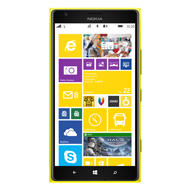 Read more about the Nokia Lumia 1520 and the Nokia Lumia 1320 on Nokia Conversations. The newest additions to the Asha Platform family of devices - the Nokia Asha 500, Asha 502 and Asha 503 - join the already successful Asha 501 in pushing the boundaries of affordable smartphone innovation. All three handsets build on Nokia's renowned design and feature a new crystal-clear look; a fusion of ice-like transparency and bold inner color encases each phone to make it both elegant and more durable. Support for 3G is available on the Asha 503, which also includes a 5MP camera and comes with a Dual SIM option. 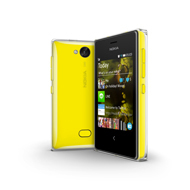 Read more about the Nokia Asha 500, Nokia Asha 502 and Nokia Asha 503 on Nokia Conversations. 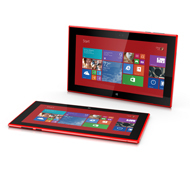 - Nokia Video Director - create, edit and share customized videos direct from the Lumia 2520. - Nokia Beamer - share experiences and ideas easily and instantly with friends or colleagues by projecting your phone screen to any HTML5 enabled screen; this includes documents, maps, location details, or even the camera viewfinder. - Nokia Storyteller - automatically integrates your pictures from your phone with HERE location information and collates a chronological picture journey on a map. - DreamWorks Animation's Dragons Adventure - an exclusive experience for the Lumia 2520 which keeps the whole family entertained. - Instagram - the photo and video sharing community. - Papyrus and InNote - handwriting note-taking apps. - Vine - a popular video service. For more information on the new developer offerings, including the many applications which become available to Lumia and Asha users for the first time today, visit: developer.nokia.com and conversations.nokia.com. About NokiaNokia is a global leader in mobile communications whose products have become an integral part of the lives of people around the world. Every day, more than 1.3 billion people use their Nokia to capture and share experiences, access information, find their way or simply to speak to one another. 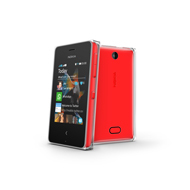 Nokia's technological and design innovations have made its brand one of the most recognized in the world. For more information, visit http://www.nokia.com/about-nokia.